Sunday 17th March 2019, 11.00am to 4.00pm. 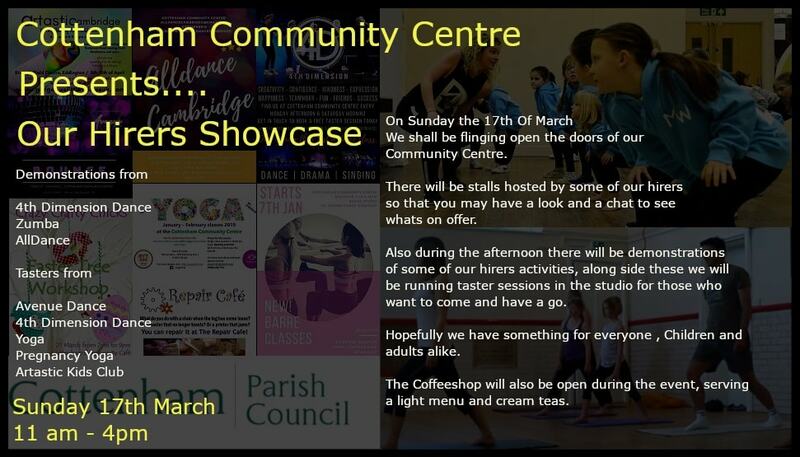 Demonstrations, tasters and stalls to showcase some of the many classes and activities that take place regularly in your Community Centre. Part of our 10th anniversary, 10-day celebration.